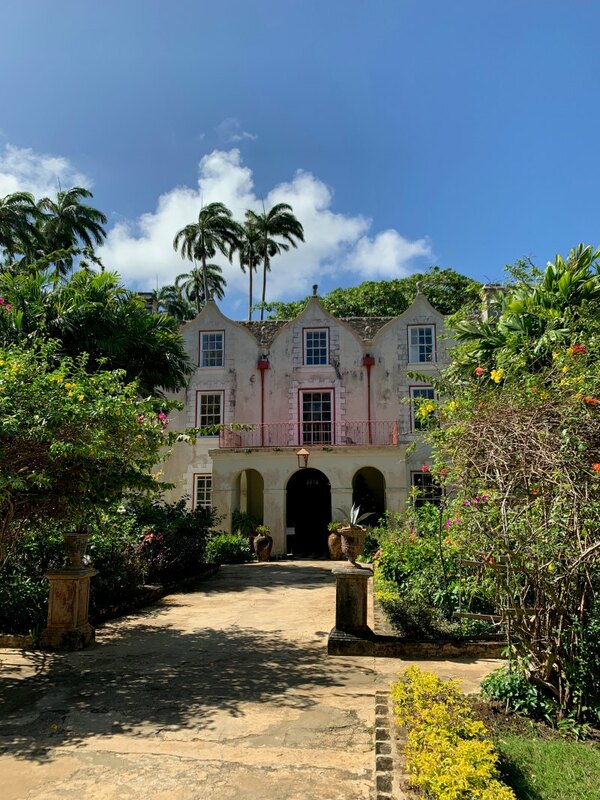 As a writer who specializes in tropical destinations, I spend about half the year running around the Caribbean, checking out resorts, restaurants and beaches for a variety of travel outlets. Which, I’ll admit, is pretty great. But the most rewarding thing is having the opportunity to literally run around the Caribbean during a destination race. So far I’ve raced in Antigua, Jamaica and the Bahamas. 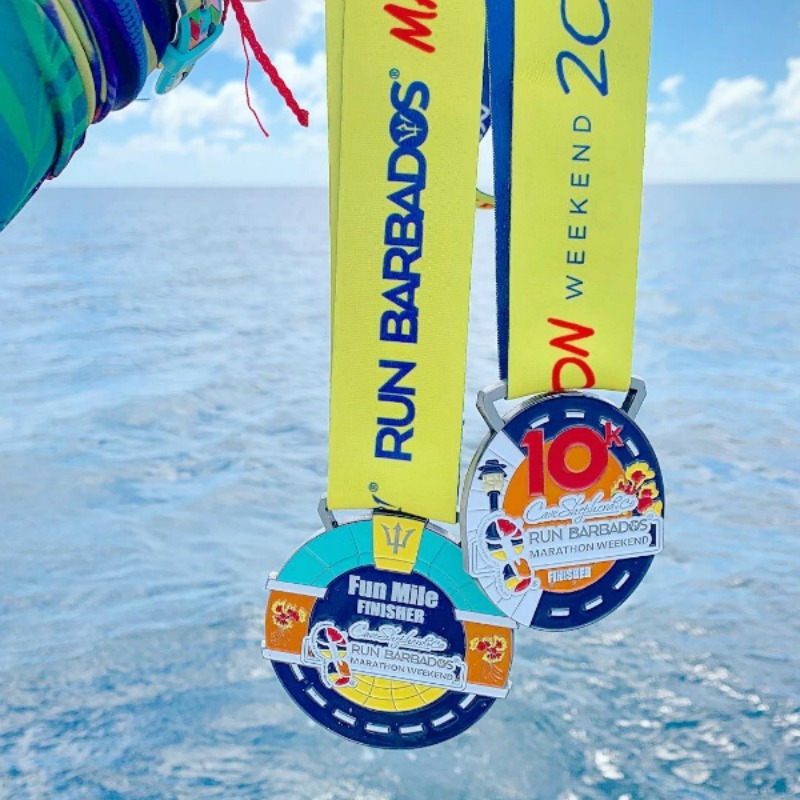 And my latest Caribbean competition took place last December, when I was invited by the folks at Barbados Tourism to participate in their Run Barbados series. Established more than 30 years ago, the weekend-long event features everything from mile to marathon distances run through one of the Caribbean’s most Instagram-worthy (trust me on this) destinations by participants from as close as Antigua and as far away as Australia. 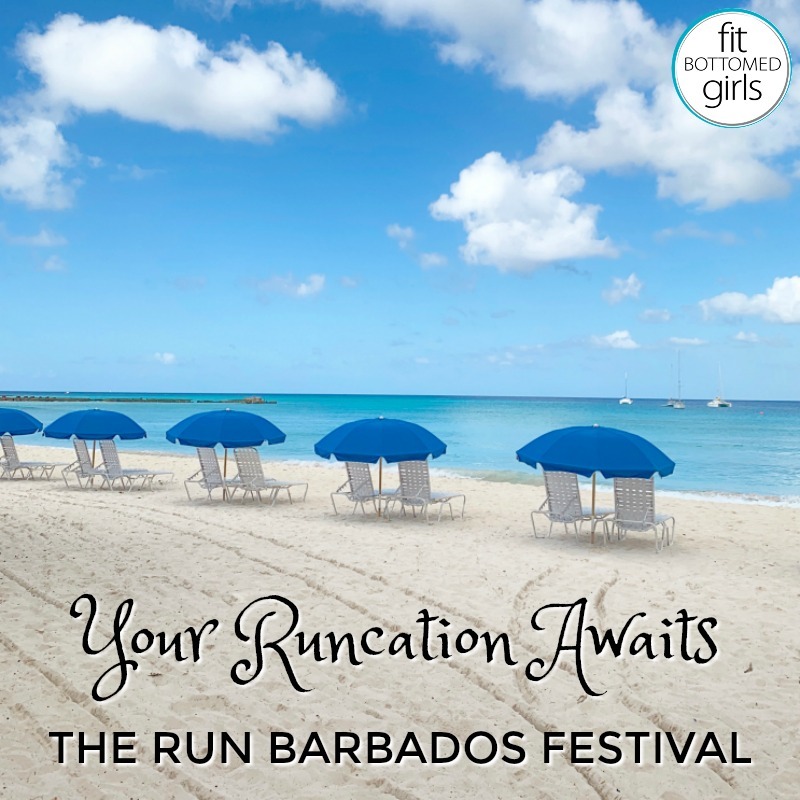 So if you’re ramping up your training for a spring race, planning a “runcation” with your run buds, or if running along beachfront streets in balmy temps in December sounds like your jam, you should definitely consider putting Run Barbados on your calendar 2019. Here’s everything you need to know to make it happen. Sunset on Courtyard by Marriott’s slice of sand. Only 21 miles long and 14 miles wide, Barbados (or “Bim,” as locals call it) is the most easterly island in the region, lapped by the Caribbean on its west and south coasts and the crashing, surfer-friendly Atlantic on the east. You may or may not know the island as the birthplace of rum, but I’m pretty sure you’ll recognize it as the birthplace of Rihanna. Sarah and her mile medal. There are five races over three days: a mile-long sprint on Friday evening; a 5k and 10k on Saturday evening; and the half-marathon and marathon on Sunday morning. All races start oceanfront at the Bayfront Esplanade on the white-sand sweep of Carlisle Bay, where dancers, stilt walkers and reggae and soca music booming from giant roadside speakers help get the party started. With more than 700 participants, Friday’s mile is the most popular event, with separate divisions for men, women and kids. I found it challenging, not only because of the evening start time (I’m a morning runner) but also because parts of the course were dark and potholed (next time I’ll wear a headlamp). With no digital clocks on the route, you’ll need your Garmin if you want to keep track of your progress on the course, which winds from the beach and then along the main road into Bridgetown (the capital and a UNESCO World Heritage Site) and back. This was my first mile race (I’m more of a 10k and half marathon kinda gal) and I was shocked at how hard it is! You need to start fast, run fast and finish fast to conquer this distance, and the evening heat (in the mid-80s F) and humidity (around 90 percent) only makes it more challenging. Still, I PR-ed (ah, the advantage of running a distance for the first time!) with a finish time of 9:34, and I’ve already set running a 9-minute mile as goal for 2019. Since both the 5k and 10k start in the evening, you’ll need to plan Saturday’s meals carefully so you arrive at the start line nourished and hydrated but not overly full. (And trust me, since Barbados boasts some of the Caribbean’s best cuisine, this will be a challenge.) About 700 people toed the line for the 5k, encouraged by an impromptu greeting from none other than the island’s prime minister, Mia Mottley, waving from the balcony of her office opposite the Esplanade. Once the 5k’ers returned, the 10k (which I did) started, tracing a similar route into Bridgetown, and through the historic Careenage marina. Crowds thinned as we exited town and headed toward the port, but there were plenty of stops for selfies at the sign marking Rihanna Drive (where Rhi Rhi grew up) — and we all got a boost from the magical Christmas lights display as we headed back along the city’s main drag, Broad Street. My top tip for 5 and 10k-ers: Bring your own hydration! While there were water stops, they were placed at odd spots on the course (for the 10k, there was a station less than a mile in and then none again until after mile 3). And there didn’t appear to be any food at the finish, so pack a snack, too. 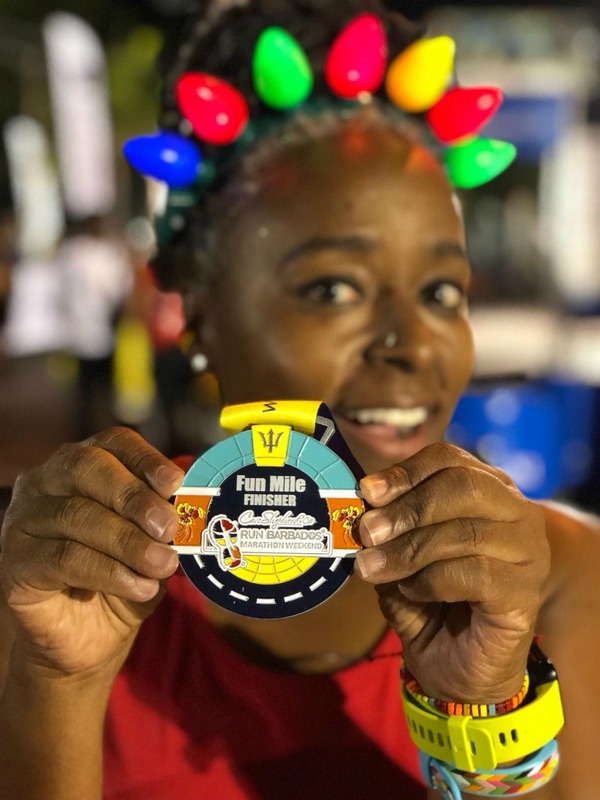 It takes a brave soul to run a half or 26.2 miles in tropical temps (Editor’s note: She’s not wrong!) but the record shows that more than 400 participants went the distance on Sunday. Thankfully, this was a relatively cool pre-dawn start, but temps soon ramped up to the mid-80s along the course, which ran along the west coast from Carlisle Bay north to Paynes Bay. Marathoners will need to prepare mentally as they run two loops of the half course (and therefore have to pass the start/finish half way). And if you rely on energy gels, bring your own — there’s only water and Powerade at hydration stops. Kudos to the race organizers because the bling was boss! No rinky-dink medals here; just colorful, heavy metal to commemorate your win. 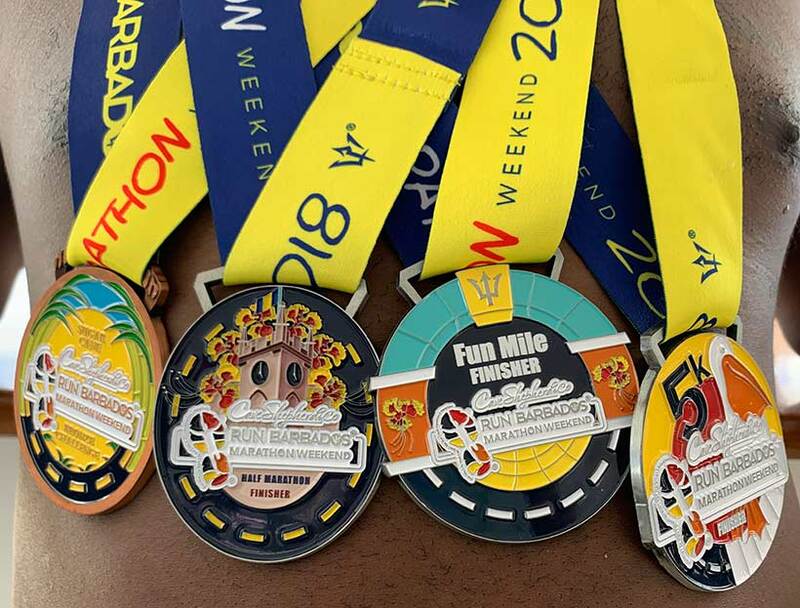 I was thrilled with my mile and 10k medals – that is until I saw the challenge medals, which were even cooler. Run the mile, 10k and marathon (the gold challenge); the mile, 10k and half (the silver challenge); or the mile, 5k and half (the bronze challenge) and you’ll score an extra medal for your rack – or to wear on your first day back in the office, no judgment. Athletes need fuel, right? And Barbados delivers with all sorts of delicious noms. After the Friday-night mile, follow the crowds to Oistins, a south-coast fishing village that rocks with locals and visitors enjoying the weekly fish fry and street party. 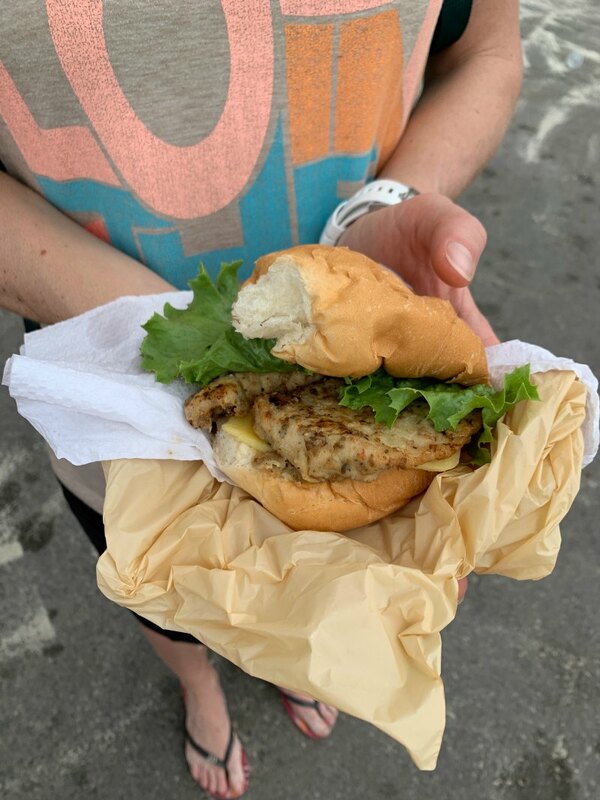 On the menu: heaping platters of mahi-mahi, tuna, marlin, kingfish and lobster from a variety of roadside stands (Uncle George’s is my favorite) served with “macaroni pie” (that’s mac and cheese, to the uninitiated). Pebbles Beach is a great pick for Saturday R&R and lunch, not just because of the fine white sand but because it’s where you’ll find Cuzz’s food truck. For decades he’s been serving up “cutters” (sandwiches) made with pan-fried marlin fillets nestled on a pillowy-soft salt bread bun and topped with a slice of cheese. The only thing better than the taste is the price tag – a bargain on this pricey island at just $10 a pop. Other fun things to do: Harrison’s Cave (a mile-long network of coral caves you explore via electric tram) and Cool Runnings’ half-day catamaran cruise, complete with snorkel stops, buffet lunch and plenty of rum punch! 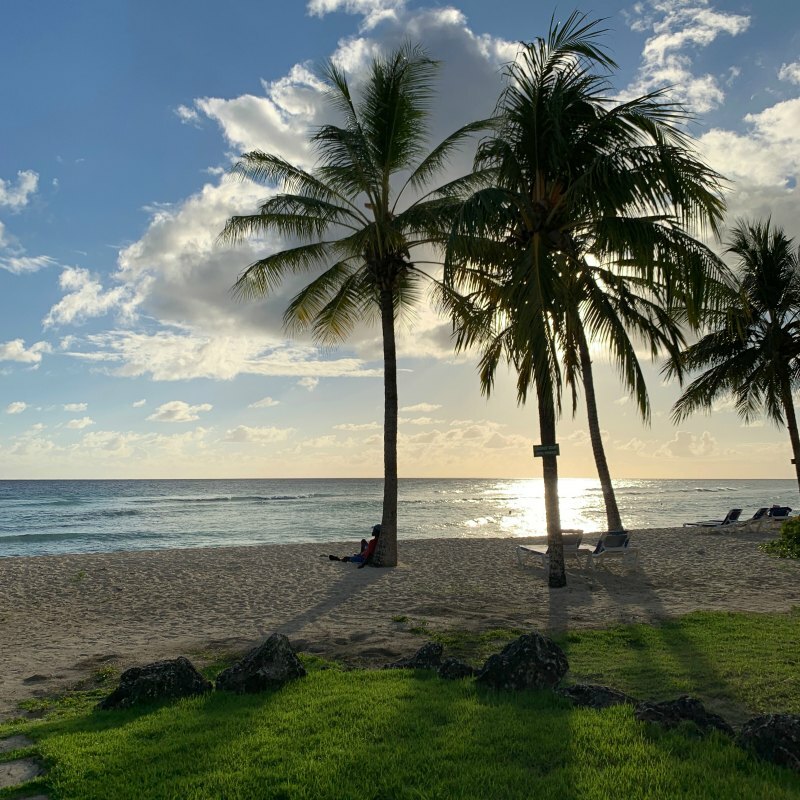 How to get there: From my hometown of Miami and other U.S. northeast coast gateways, it’s just over three hours flying time non-stop into Barbados’ Grantley Adams International Airport (BGI). Carriers with direct flights from the U.S. include American Airlines, Delta and JetBlue. WestJet and Air Canada offer service from our neighbor to the north, and runners coming from Europe and the U.K. should check out British Airways, Condor and Virgin Atlantic. Where to stay I was hosted by the official race hotel partner, Courtyard by Marriott, in Bridgetown, which is just a five-minute drive (or short shakeout run) from the Bay Street Esplanade start line. The rooms (rates include breakfast) are modern and spacious; and the staff was friendly and helpful. One drawback: the hotel isn’t waterfront so you’ll have to cross the main road to the beach, but it’s less than five minutes’ walk away. The Radisson Aquatica is basic but has a fab location right on Pebbles Beach. And if you want to go all-inclusive (and don’t mind being off the beach) check out Island Inn. All the medals for the Bronze Challenge. So much bling! The 2019 Run Barbados festival will be December 6 to 8. For race info and registration, click here. And, if you have any questions about my experience, drop me a comment!